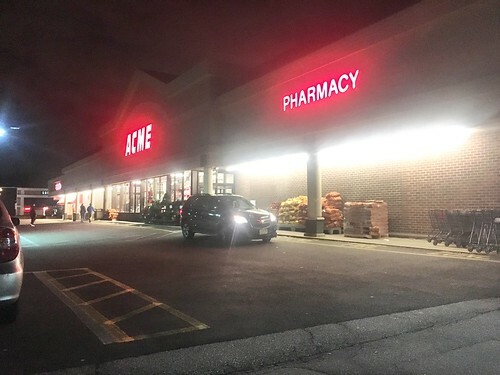 In the suburbs of Montclair, there's a sight... a sound... a taste to this town... oh wait, that's Acme's slogan. A&P opened in a Barrel-Roof location here, and had stood in the same location until 2015, departing with the rest of the chain. 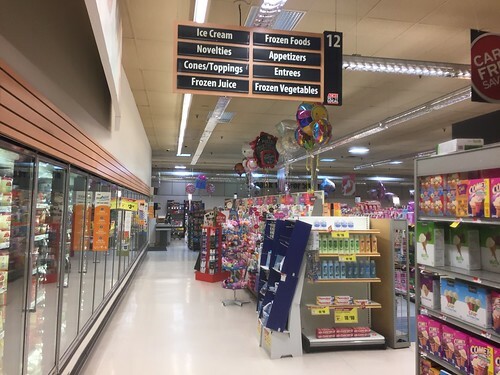 Acme Style has said that (while visiting the store) supports have been put in place for the barrel-roof because of the high temperatures during the summer that make the roof invert itself... not a good sign. 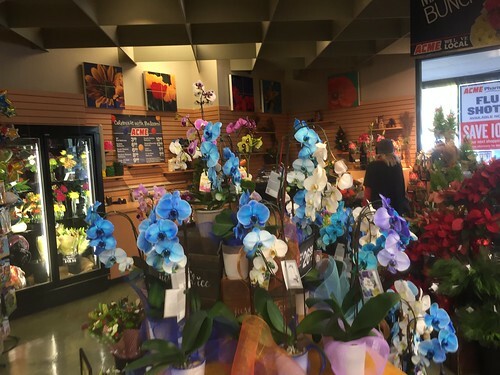 A very large, and modern, floral department! 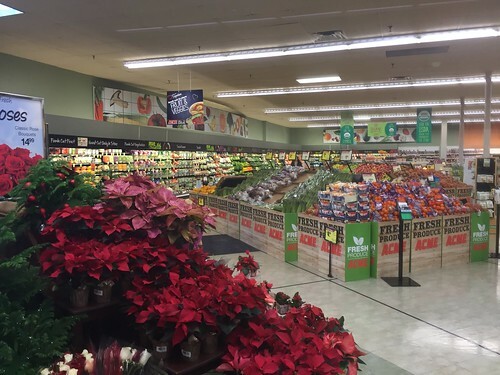 Both Acme and A&P had very great floral departments... kudos to them! 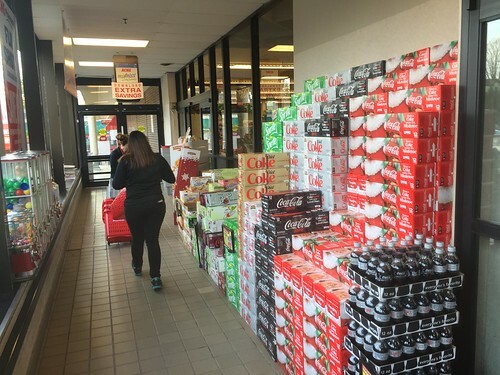 Stop & Shop can't compete. If anything was more mountainous than the floral department, it would have to be produce! 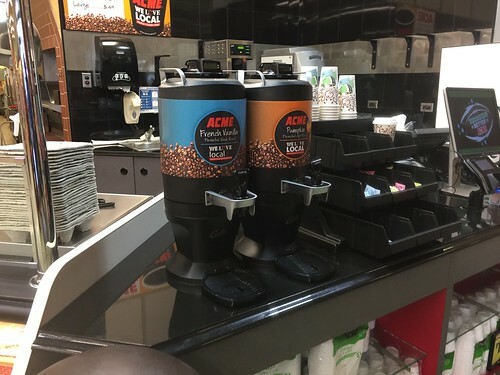 Acme replaced all of A&P's in-store Eight-O-Clock Cafes with their in-house coffee dispensers. I've had a cup myself, and it's pretty good for a dollar or two! Too bad they're being phased out with new Starbucks kiosks. 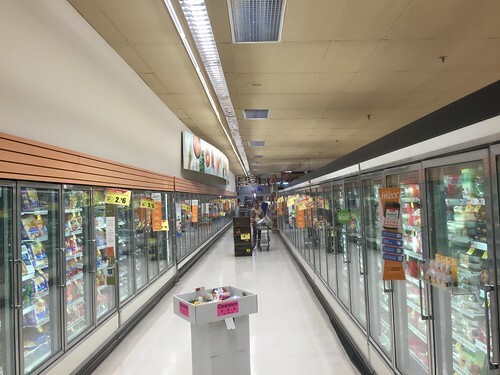 Freezer cases line the right side of the store, and a few aisles. 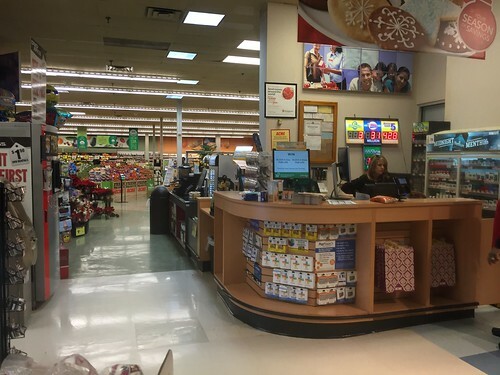 Dairy department with wood-slat cases on one side, and new-age black cases on the other. 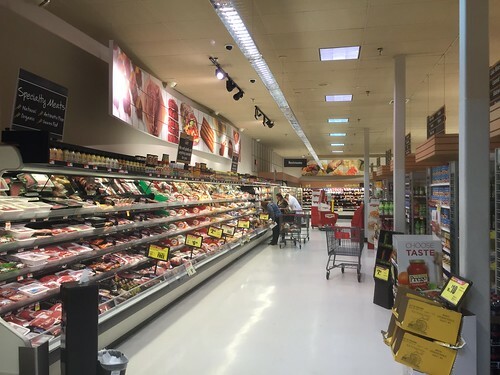 Dramatic lighting in the meat department. 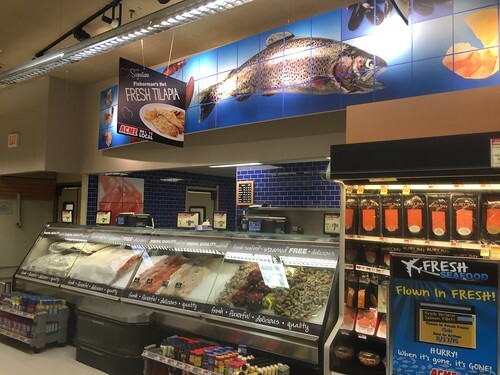 ...and fresh seafood! 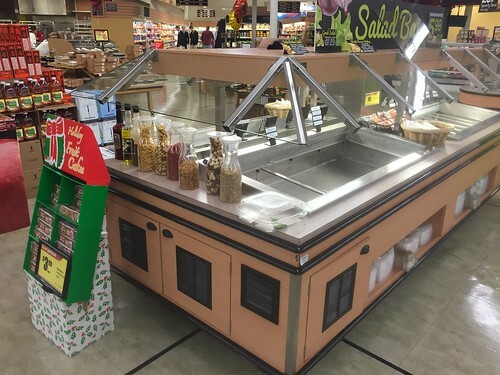 This is probably one of the most well-done Fresh remodels ever done. If I remember correctly, this store previously had the 90's Foodmarket decor. 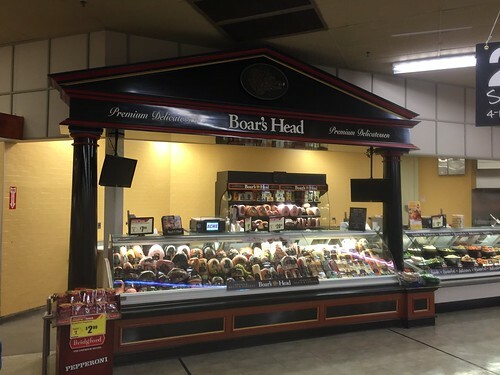 Extravagant Boar's Head signage here. 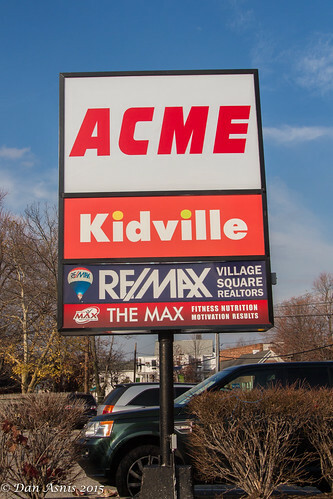 Acme is removing these at an alarming pace in trade for their new Corner Deli signage. Thanks to Dan for the great pictures once again!